IRt/c’s are rated optically for their field-of-view by the actual dimensional equations describing their construction. 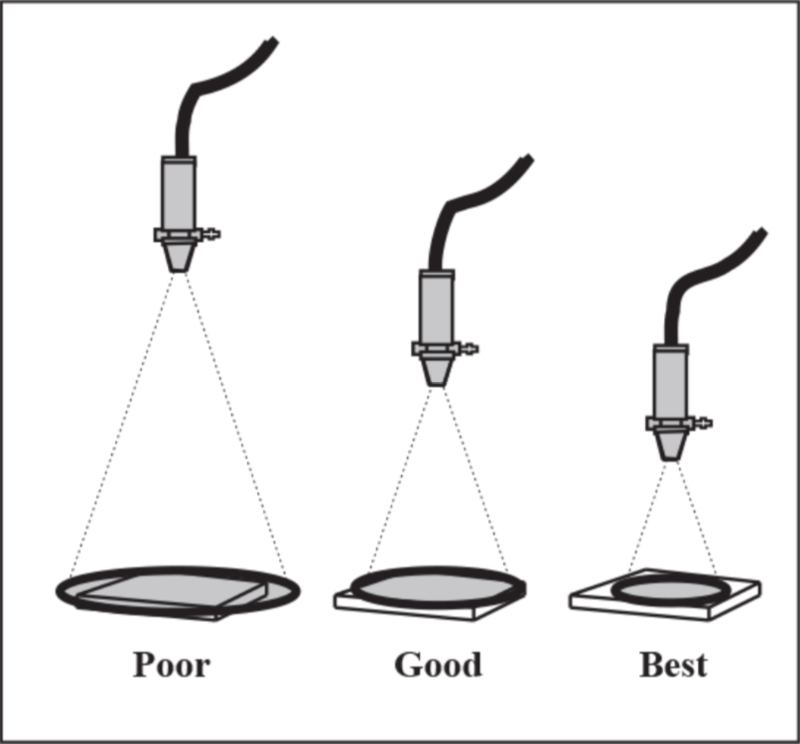 However there are, in practice, some secondary effects which can influence performance, including optical scatter, unwanted reflections, atmospheric scatter, and others. The graph illustrates the relative contribution to the signal produced by the target and by the area surrounding the target due to these effects. 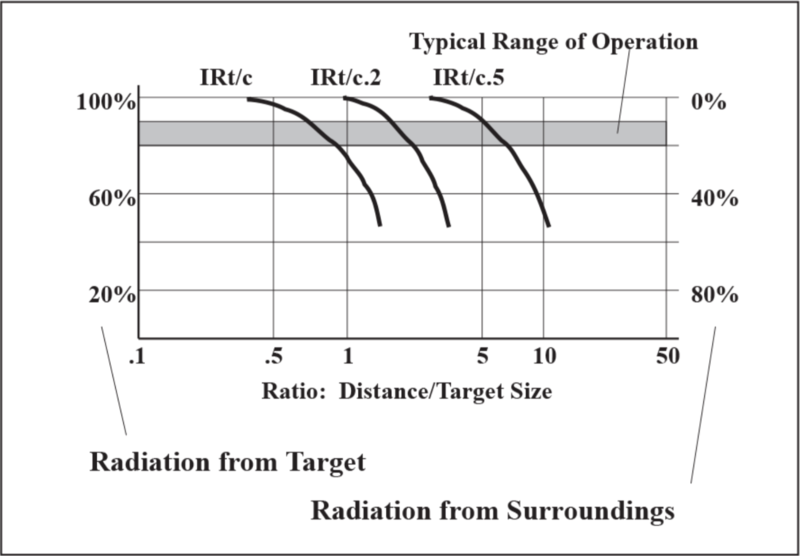 Note that the sum of radiation from the target and radiation from the surroundings is always one, and as the sensor is placed further away than its rated field-of-view, there is less target signal and more surroundings signal. Mathematically this effect is identical to a reduction in emissivity, and can be calibrated out the same way, as long as the temperature of the surroundings is repeatable. Under typical conditions, placing the IRt/c such that the target exactly fills the field of view results in approximately 80 to 90% target signal, and 10 to 20% surroundings signal. A common convention in infrared thermometry, and the one used to verify the optical performance of IRt/c’s, is to define the field-of-view by the “1/2 energy points” in an optical traverse experiment.The resultant data looks like a “Bell Curve” as indicated in the illustration. 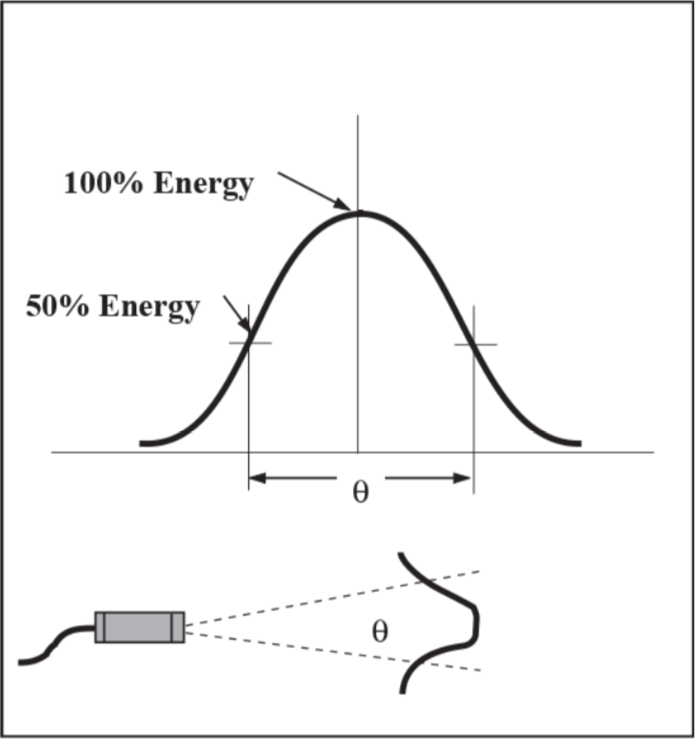 The field-of-view is simply the angle between the 50% energy points. As always, closer is best; use the closest possible position for the IRt/c.